A few weeks ago, I wrote about the importance of decluttering for those of you who plan to move or relocate this summer. I introduced the Declutter Tool Kit as a resource to help you survive a massive pre-move decluttering project. 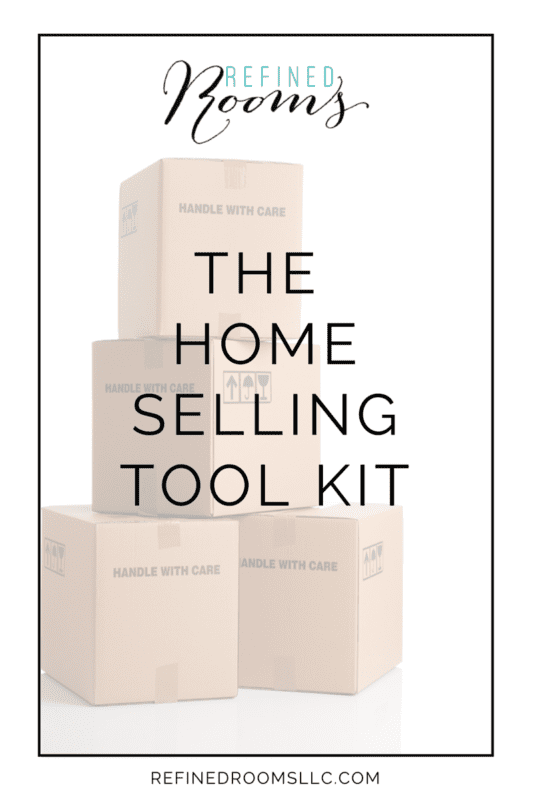 Today I’m excited to introduce yet another resource that I’m hoping will help to reduce some of the stress associated with the moving and home selling process — The Home Selling Tool Kit! This home-selling resource explains the rationale for investing time and money into preparing your property for the market. It includes recommendations for updating and staging your home on a budget. It outlines things you should consider if you’re contemplating using a self storage unit during the home staging/relocation process. The Kit also includes a printable checklist for preparing your home for showings and/or open houses. 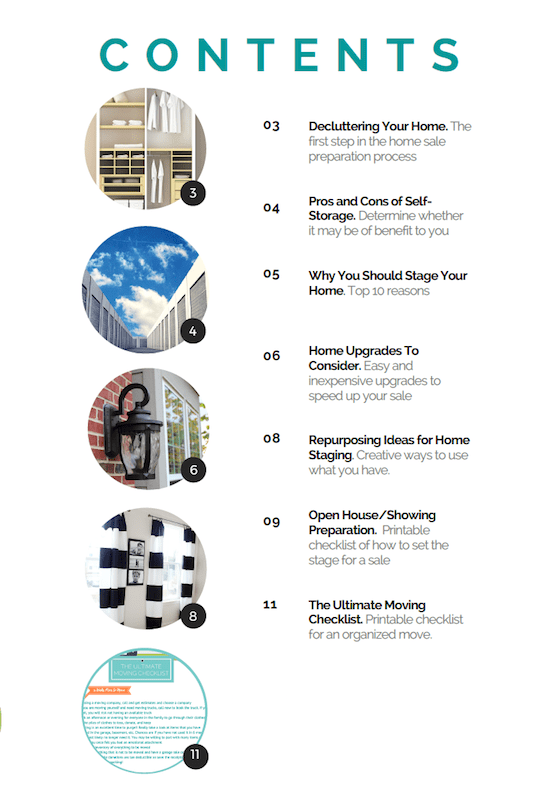 It also includes the Ultimate Moving Checklist, which walks you through all of the action steps you’ll need to complete at each stage of the process to ensure an organized move (and minimal stress for you and your family!). Having gone through the home selling process a number of times myself, I’m intimately familiar with how stressful the process can be. Having your home sit on the market for months while you wait with baited breath for an offer is absolutely no fun. It’s my hope that this new resource will help those offers come more quickly! Do you have a move in your future? 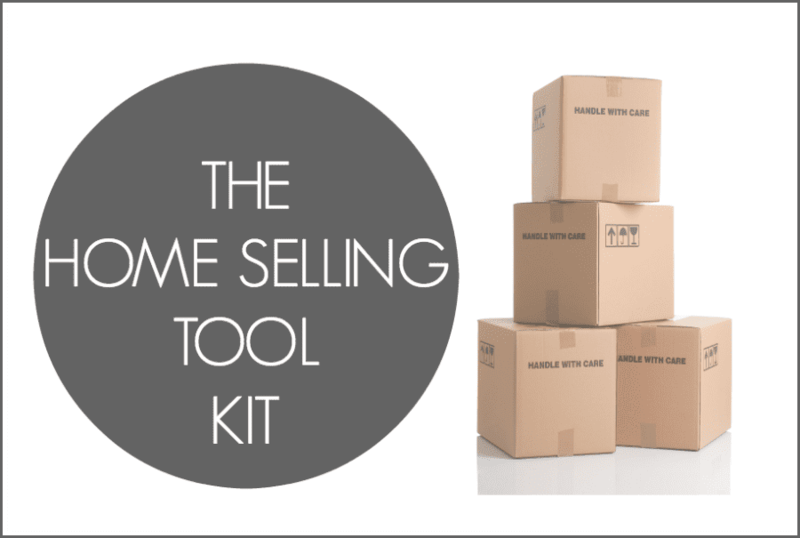 Download a copy of the Home Selling Tool Kit and let me know what you think. Be sure to let me know what you’d like to see added to the tool kit in future revisions.